The following post is a review of this 50th anniversary version of the book Christy. 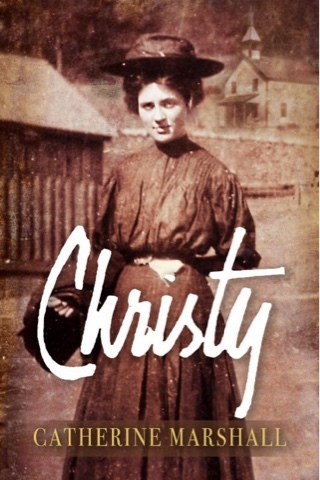 My mom bought me a paperback copy of Christy when I was in high school. It was my first book to read by Catherine Marshall, but it and her book Julie remain among my favorites. She shares stories on such a way that you can see God working in their lives even in harsh circumstances. This edition of Christy celebrates the 50th anniversary of the beloved novel's first appearance on the New York Times Best-Seller List in November 1967. Millions of readers fell in love with Christy, and this modern edition will appeal to readers of all ages. For the first time ever, the novel will be available as an e-book! Based on the life of Catherine Marshall's mother, Christy captured the hearts of millions and became a popular CBS television series. Around the kitchen table at Evergreen Farm, as her mother reminisced, Catherine probed for details and insights into the rugged lives of these Appalachian highlanders. The train taking nineteen-year-old teacher Christy Huddleston from her home in Asheville, North Carolina, might as well be transporting her to another world. The Smoky Mountain community of Cutter Gap feels suspended in time, trapped by poverty, superstitions, and century-old traditions. But as Christy struggles to find acceptance in her new home, some see her --- and her one-room school --- as a threat to their way of life. Her faith is challenged and her heart is torn between two equally strong, but different men. Yearning to make a difference, will Christy's determination and devotion be enough? Learn more about Catherine Marshall here. 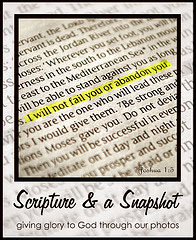 Disclosure: Litfuse provided a copy of this book for the purpose of this review. No other compensation was provided. All opinions are my own.